In october 2010 we got an email from the people of Songkick. At that time all we knew was that they had a popular website. It turned out that they were out to find a partner to help them make an iPhone app to enable even more people to find concerts of their favorite artists. The more they told us about the project and their ambitions the more it became clear to us that it was an opportunity to build something great that a lot of people would enjoy using. As we got started we quickly realised that it was pretty delightful to work with the Songkick crew and despite the fact that they were based in London we managed to setup some great workflows that allowed us to collaborate closely with their team. We went through a rigorous design process that even involved meetings with Apple’s UX evangelist on several occasions, and we ended up with a gorgeous and joyful interface. The development process was complex since we were building the app on our end while they were developing the API at the same time. It was supposed to do a lot of things that had not been done in an app before, so we went through several phases of uncertainty along the way. Luckily our perseverance paid off and in the end we managed to take all the functionality from their website and put it into something so small and portable. The app was as much a passion project for us as it was for the people of Songkick, and we put a lot of long nights, all our passion as well as our energy into the project. 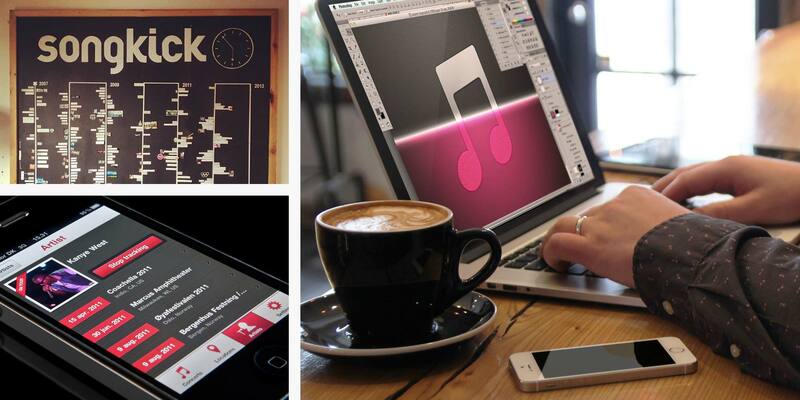 Once the app was released in the App Store in the summer of 2011, we were all very excited to see how it would fare. Within the first week Apple decided to feature it as App of the Week and after two weeks it had been downloaded more than 100.000 times. Since then it has gone on to win several awards and accolades, and 89% of the users who have rated it, has given it 5 stars. 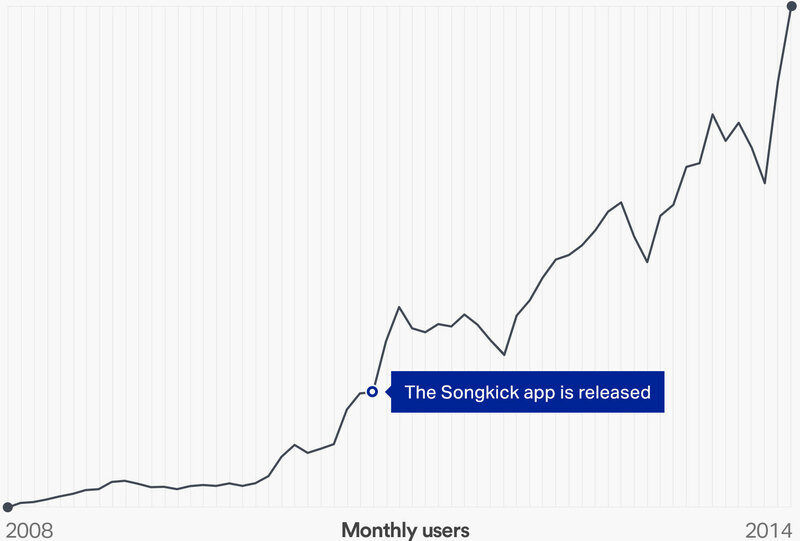 More importantly though the app has been a huge part of Songkick’s user growth. Last week they reached a new high with 6 million monthly users on mobile devices. We see it as a testament to the work we did that the app has remained largely untouched since it was launched, while it’s popularity has soared. 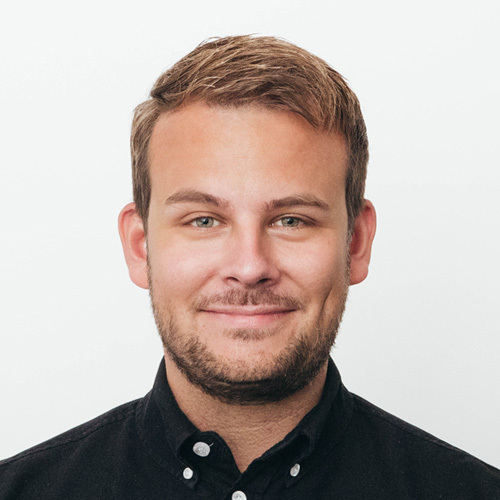 We are really happy that Songkick has gone on to become such a major player in the market, and we are proud to have played a part in their succes.